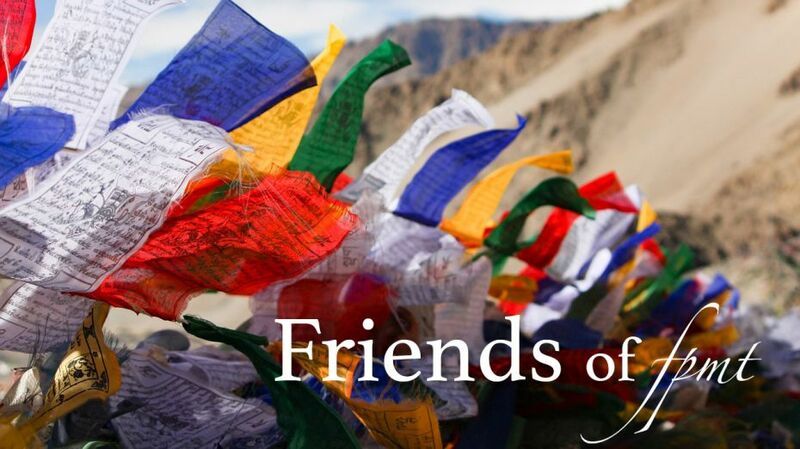 As a Friend of FPMT, you will be supporting all of the activities of FPMT International Office, mainly providing the vital resources we need to continue expanding access to the Dharma. Your help makes it possible for thousands to study online each year, and have access to precious Dharma texts, prayers and advice. You help us give free access to live and recorded teachings from Lama Zopa Rinpoche throughout the year. Plus you will be funding our work in serving local FPMT communities around the globe so they can grow and flourish. Being a Friend of FPMT is contributing to our global FPMT family, and helping us reach those who are wanting to practice a genuine Dharma path and don’t live near a center. Plus, you can enjoy complimentary access to what you are helping bring to others! With your member support, you can take complimentary online Dharma courses, have Mandala magazine delivered to your door, be included in sponsored pujas, and a receive a host of digital Dharma gifts throughout the year. Be a sustaining contributor to our mission with a monthly or yearly contribution! Full access to the Living in the Path online program – study the lamrim with Lama Zopa Rinpoche! Sponsored pujas at Kopan Monastery for you on the four Buddha Days of the year. Liberation Prison Project digital calendar. Make a great impact for our work and help expand access to the Dharma for others! Deepen your studies with full access to all of our online programs: Living in the Path, Discovering Buddhism, Basic Program and more. Sponsored pujas at Kopan Monastery for you on auspicious Buddha Days throughout the year. A host of digital Dharma gifts and video teachings throughout the year. Like the elephant, be a strong pillar of support in preserving the Mahayana tradition and the vision of our founders! Free access to every digital publication of FPMT Education Services to download at your fingertips: ebooks, prayers, practices, sutras, advice booklets, printable art and more. & a special 50% discount for everything in the Foundation Store. Our main motivation is to make the Dharma available to as many as possible. If you are wanting to study our Online Learning Center programs or have a subscription to Mandala magazine, but can’t afford giving at the one of the Friends levels above, please don’t hesitate to contact us for scholarship and reduced Mandala subscription options. Please contact us to join or renew your Friends of FPMT membership at the special IMI Sangha rate. 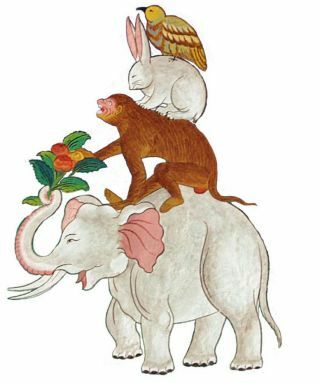 In the Vinayavastu (“Foundation of Discipline”), the Buddha tells the story of the Four Harmonious Friends – a pheasant, a rabbit, a monkey, and an elephant – who lived together in harmony. Each of the younger animals showed respect for the older animals’ life-experience and knowledge by carrying the older on his back. Later, the eldest (the pheasant) taught the practice of ethical conduct to the others, who then taught the same practice to the rest of the forest creatures. Because of this, happiness and comfort increased greatly in the world. It is said that wherever a picture of the Four Harmonious Friends is displayed, the ten virtues will increase, the minds of all will become harmonious, and many auspicious events will occur.